Pantech P8000 has been approved by the FCC. A rendering of the mobile phone portrays a bar-style phone with a camera placed on the back. 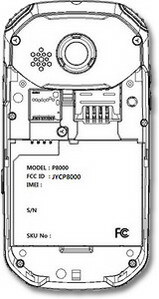 The FCC listing shows that the Pantech P8000 supports GSM/EDGE 850/1900 and WCDMA 850/1900 on board (which is compatible with AT&T 3G frequencies). The phone will also sport Wi-Fi and Bluetooth capabilities. The Bluetooth Special Interest Group lists the P8000 as an Android smartphone, though no confirmation on the FCC documents. 0 comments on "Pantech P8000 Passes FCC"